In the Nagaland University Exams of 2012 the number of successful economics major graduates was 108 out of 1,428. Economics is a critical subject. According to Prof. Shabbir Ahmed Gondal, “A nation’s fortune is determined not in battlefield but in economic field, and it is the study of Economics, which ensures supremacy in economic field.” Our lack of economics graduates in key areas of planning could be one of the factors hampering us from thinking like an economist. The right mindset is needed for our society to progress. Economics might just help towards making that happen. Most people think of Economics as a mind-numbing and difficult subject but I would not be wrong to say that it is an important and indeed one of the most fascinating subjects. Economics is not just a subject but a ‘way of thinking’. Learning Economics gives insights into many areas which are crucially important. It has an extremely important place in our educational system. Amongst the academic subjects, its curriculum consists of one of the highest and most pertinent life skills that will help students in choosing their career. Economics deals with the laws and principles which govern the functioning of an economy and its various parts. An economy exists because of two basic facts – unlimited human wants and scarce resource available to him. Economics decides how to make the optimum use of the limited resource in order to satisfy human wants. Among the scarce resources, there is also an alternative use for most commodities. Economics teaches each individual how to be rational in choosing the services and goods he consumes. Right from the time of birth, everybody becomes part of an economy as a consumer, and later on becomes a producer, distributor or simply a consumer. Economics also helps us to understand other subjects like History, Political Science, Sociology, Mathematics etc. It gathers facts from all these subjects, which have direct and indirect effects on analyses of the subject matter. Studying Economics offers us an interesting opportunity to maximize our potential in both the school and workplace. Practically everything we do impacts the economy. In order to find and perform any kind of job we also need to know why and how the economy works. It would be unwise to blindly jump into any kind of job or work. When looking out for any job, it is always important to know the nature of the job, its economic scope, how the system works, the repercussions etc. 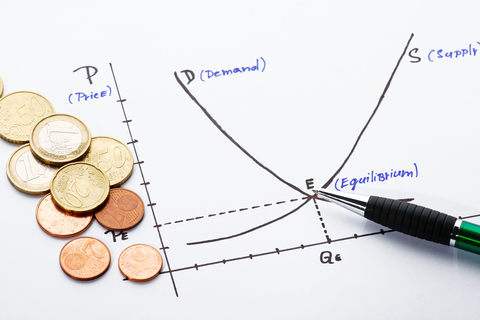 Economics as a subject also plays a vital role in planning. Economics helps us to know the status of a country in terms of its growth and development. Realizing the economic condition of a nation or a state is important because without the knowledge of the past/present status, planning for the future cannot take place. Planning and development strategies, budget, monetary policy, fiscal policy etc. are the major concerns of the Government, and the Government heavily depends on economics for decision-making. Studying economics also broadens the mindset of the people and helps them understand the problems faced in a society, thereby providing solutions as well. Economics also make us realize that man is interdependent and we need each other to meet our economic and social needs. Thus it leads to cooperation. When it comes to career options economics has a lot to offer as well. Services of economists are needed in corporate firms as well as other independent state/private run services. Economists work in different fields like marketing research, financial services, rural development, demographic studies, formulation of economic policies etc. Globalization has also increased the demand for economists as the firms involved in international trade need to undertake a serious study of the international market and trade policies of different countries. One of the best examples of the importance of the role of an economist is that of our Prime Minister, Dr. Manmohan Singh. He will always be remembered as the economist who totally changed the face of India’s economy from a closed to an open economy and also brought India out from the financial crisis of 1991. Prof. Shabbir Ahmed Gondal rightly said, “A nation’s fortune is determined not in battlefield but in economic field, and it is the study of Economics, which ensures supremacy in economic field.” The significance of the study of economics is undoubtedly high. The scope of economics keeps widening and one can never go wrong in opting for economics as a subject of study. It is known to all that economics is the study of mankind and his activities in relation to his environment. Economics rules our lives and the affairs of the world as a whole. As remarked by Wooten, you can never be a citizen in the real sense unless you are at least to some degree an economist. In our own small or big way, we are all economists. It is always interesting to learn about ourselves and the activities we perform and how it affects the environment we live in. Economics is not just a thought-provoking subject but also imperative for the well-being of our society. It is disturbing to know that for most of us (Nagas), economics is a very boring and tough subject. I suppose it is because the notion of economics being a dull subject is already imprinted in our minds right from the start. If you have the same notion, then you should probably alter the way you previously thought and start considering that ‘TOUGH’ and ‘BORING’ are simply a superfluous label given to the subject and that there is a lot more depth in learning and knowing the subject. The immensity of social skill imparted as well as intricacies of mathematics challenges and intrigues the mind. I sincerely hope to see more students taking up economics in Nagaland.